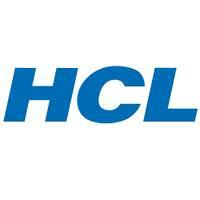 HCL Technologies scheduled Walk-in Drive for B.E/B.Tech/M.Tech/MCA graduates for the role of Software Developer at Bangalore. The detailed eligibility and HCL Walk-in venue details are given in below. Training Duration: 6 Months – 3 months of classroom training + 3 months of professional practice (You will receive a stipend of INR 5K per month). Training Fee: INR 2.5 Lakhs + Taxes. HCL TSS has a tie up with various banks to ease the financial burden on candidates and their families. You also have an opportunity to pursue Global certifications. Post successful completion of training, candidates will start their career with NOW skills. NEXT skills which you will be trained on will be helpful for your career progression. Interested and Eligible candidates attend this drive at the following venue on 1 April 2019.